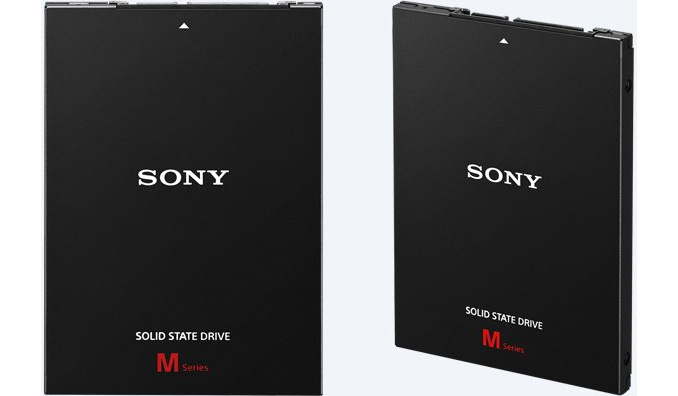 Sony-Asia this month introduced its first own-brand solid-state drives that it will sell in retail. The decision to start selling consumer SSDs is completely unexpected because Sony has been trying to focus solely on highly profitable and less competitive businesses in the recent years, whereas the competition in the market of consumer storage is fierce. Initially, the company will sell only two SSD models, which means that it is trying to test a new business rather than to become a leader on the market. Sony’s SLW-M SSDs come in 2.5-inch/7 mm form-factor (a special bracket to install the drives into 9.5-mm bays is included) and feature 240 GB (SLW-MG2) or 480 GB (SLW-MG4) capacities. The drives use SATA-6 Gbps interface and hence Sony can address the vast majority of desktop and laptop PCs with its first-gen SSDs. According to Sony, the SLW-M solid-state drives feature up to 560 MB/s sequential write speed and up to 530 MB/s sequential write speed. Each drives comes equipped with the Acronis True image 2015 and Sony SSD ToolBox software for managing and saving your data. 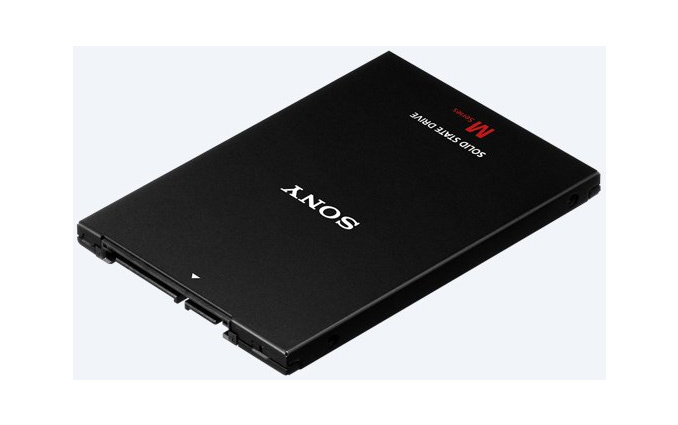 The Sony SLW-M SSDs are based on the Phison PS3110-S10 controller as well as Toshiba’s TLC flash memory, according to images published by DIYPC.hk web-site. The SLW-MG2 solid-state drive from Sony features 128 MB DDR3 buffer made by Nanya. Usage of TLC NAND indicates that Sony’s SLW-M are entry-level client solid-state solutions that do not cost a lot to make and are not supposed to be expensive, and based on the specifications listed it's a reasonable guess that performance will be near the similarly-built low-end OCZ Trion 100 series. Meanwhile with the Sony drives it's worth noting that Phison not only sells controller chips to makers of SSDs, but actual turnkey solutions, which include ASICs, firmware, reference designs of solid-state drives, software, and so on, and this appears to be what Sony is doing. The PCB design of Sony’s SLW-M resembles that of Kingston’s HyperX Savage, Corsair’s Neutron XT and Patriot’s Ignite, while Sony's SSD ToolBox is rebranded Phison ToolBox. Many new SSD suppliers acquire Phison’s turnkey solutions in order to produce own drives and find out whether they can successfully sell such products to their customers via their sales channels. For example, Zotac last year introduced its first SSDs powered by Phison’s PS3110-S10 controllers and Toshiba’s MLC NAND flash memory. Sony’s SSD plans are not completely clear. At present, the company only sells its solid-state drives in select Asian markets and it is unknown whether Sony has plans to offer similar products in the U.S. or Europe. Nonetheless, it is noteworthy that the company, which has been withdrawing from commoditized markets for years, is trying to sell its own SSDs. Nowadays solid-state drives are not as cheap as HDDs, but in the entry level the competition is fierce and margins are low.